Imagine if your photographs were gone in a second, important work contacts lost, memories deleted. Itâ€™s hard to think of this happening, but sadly it does and more often than you would like to think. 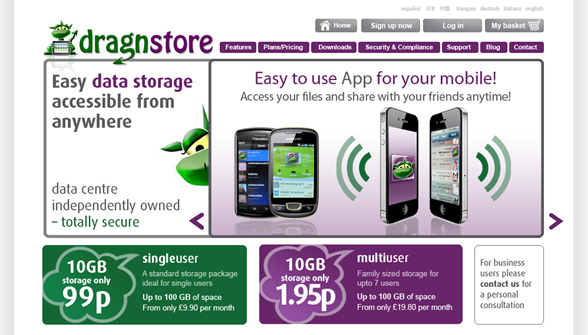 Dragnstore is a fantastic new, online data storage facility available initially for I-Phone, but soon to be more widely available on other smart phones and tablets such as BlackBerry, Android and Ipads. Naturally a wonderful web design and build by yours truly.